These products and services are designed to help keep the city safe. 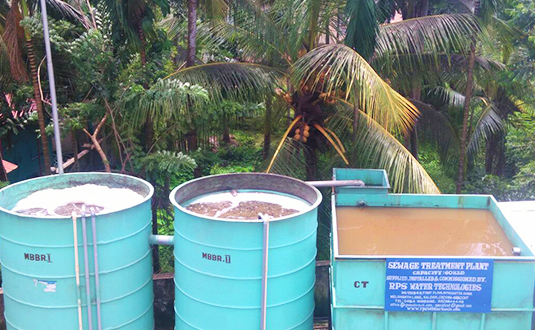 MBBR involves a simplified operational system that perks up the cleanliness of the water more than the usual Waste Water Treatment frameworks. 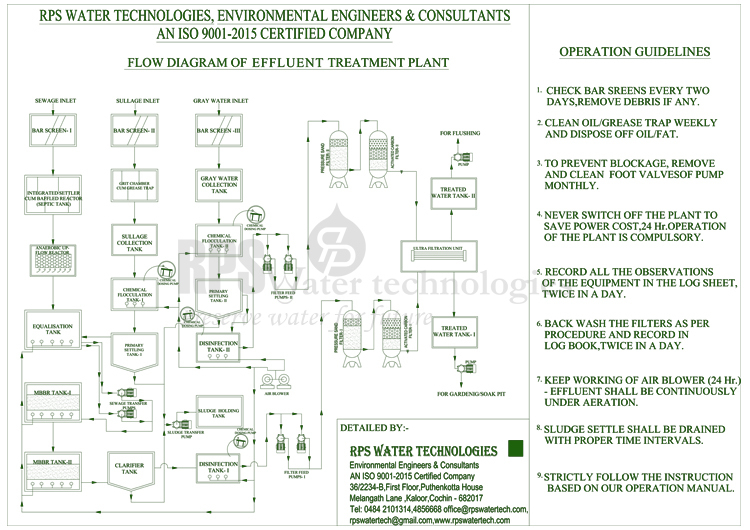 RPS provides effluent treatment solutions for various types of industrial waste water. Customised systems to suit the wide variety of effluents and to maintain efficiency are provided to industries – systems based on physico-chemical and biological treatments and membrane separation are offered to suit efficiency. 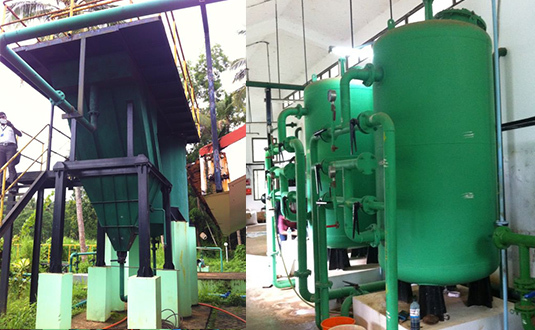 We have lots of experience and proficiency to design and commission a host of clarifiers, filters, aeration, coagulation and settling systems for waste from industries like chemicals, drugs, pharma, refineries, leachates, dyeing units, etc. Recycle and reuse of treated effluents is preferable in the ever deteriorating environment; especially of water scarcity. Reverse osmosis, ultra-filtration systems and other advanced tertiary treatment processes make this possible for industries keen on resource optimisation. We install and commission all kind of water treatment plants which include drinking water treatment, waste water treatment and also we have lab facility to test the water and to ensure best quality. For drinking water treatment we use pressure sand filtration, carbon filtration, water softening, iron removal, reverse osmosis, micron filtration, U.V Sterilization, ozone generation & Automatic chemical dosing. Also we undertake mineral water plants installation and commissioning. We undertake all type of treatment system for removing physical, chemical and biological contaminants, especially turbidity, iron, colour, TDS, hardness which are commonly found in open well, borewell, river, pond etc. 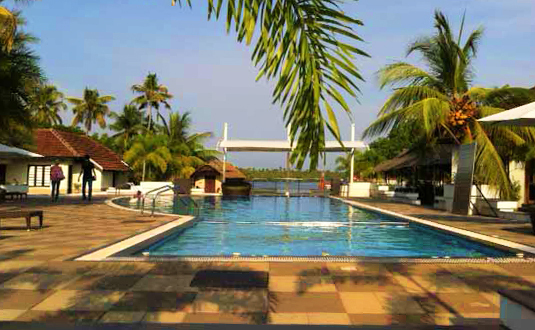 RPS known as the best swimming pool and spa developers in kerala. Because we only use quality products of international brands. Quality makes the name RPS, outstand in the crowd. 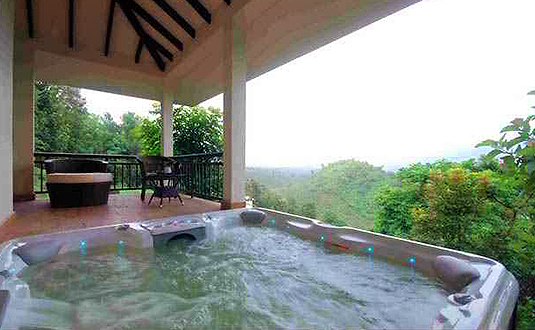 Our swimming pool accessories and spa equipment meets all international standards. 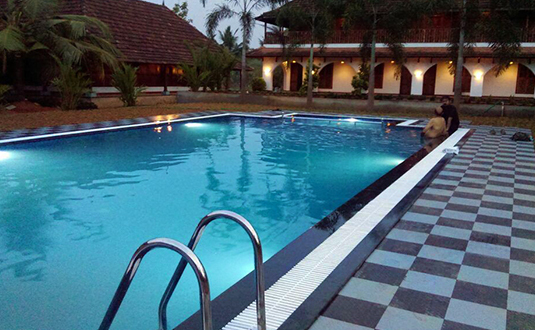 We are wellversed in designing any type and size of swimming pool like skimmer type, overflow type, vanishing edge and infinity type, meandering type. 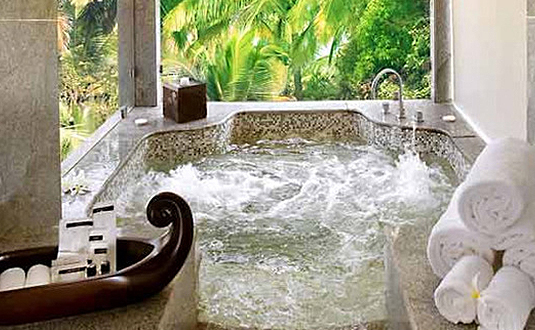 RPS Jacuzzi whirlpools and Spa are designed for elegance and relaxation. Our products and superior technology unite warmth, water and air in unique stimulating configurations to help rejuvenate, refresh, relax and reconnect. 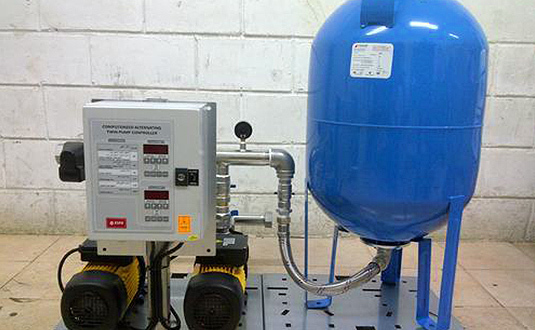 Hydro- Pneumatic Pressure Booster System consists of an automatic pressure controlled pump and a tank, which contains an air filled poly-ether-urethane (PEU) bladder. The water gets pumped in this tank that compresses it and pressurizes the bladder which in turn maintains a desired pressure within the whole water system. 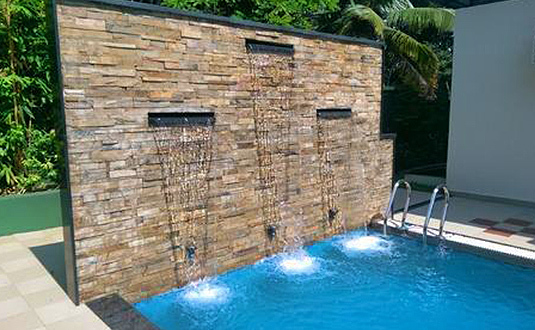 It offers complete and efficient management of water pressure, consistent water pressure on all floors, pressurized full flow shower, consistent water flow in bathtubs, dishwashers, showers and garden hose. 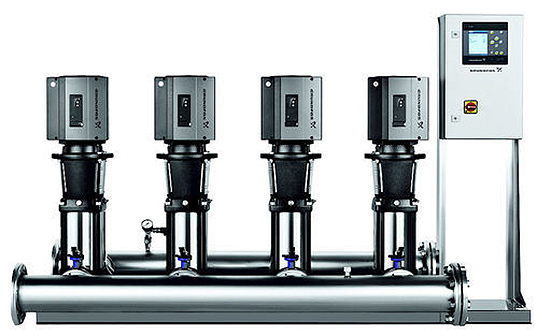 The modern fittings like mixers require an optimum pressure to function efficiently. Since this pressure is normally not available with an overhead tank, the booster system makes the presence of such fittings more meaningful. 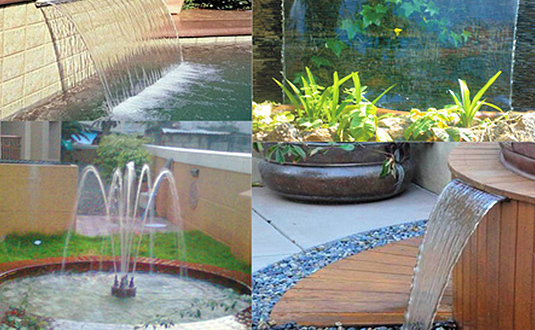 To keep a Garden Pond or Water Garden healthy and clear Pond Filters are generally used. 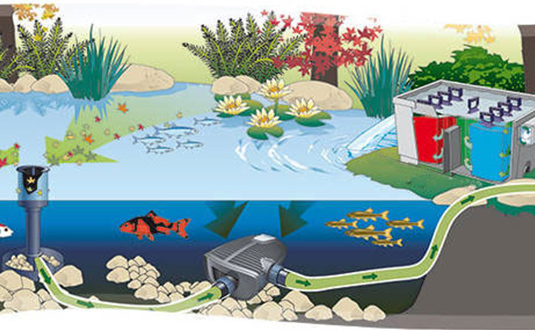 Effective Pond Filters combine mechanical and biological Pond filtration. 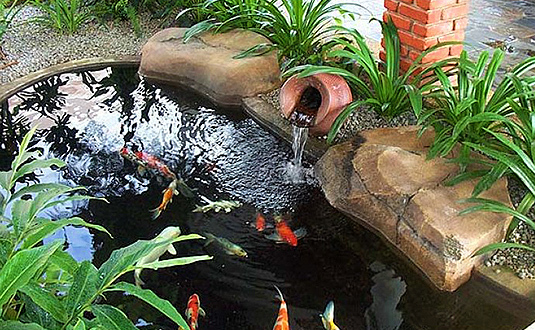 During Biological Pond filtration beneficial bacteria breaks down fish waste and other organic matter. The Mechanical Pond filtration traps particles in some type of filter media for later removal during cleaning. Sprinkler Irrigation is a technique of applying irrigation water which is comparable to rainfall. Water is distributed by pumping through a system of pipes. It is then sprayed into the air and irrigated entire soil surface through spray heads so that it breaks up into small water drops and falls to the ground. 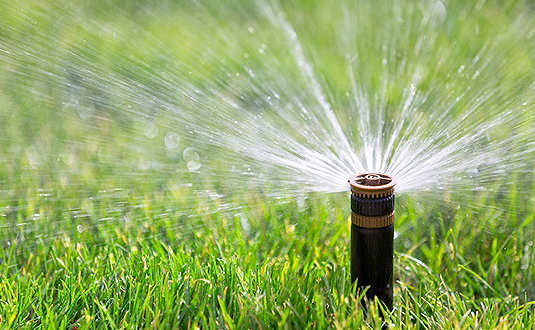 Sprinklers give coverage for small to large areas and are suitable for use on all types of properties. 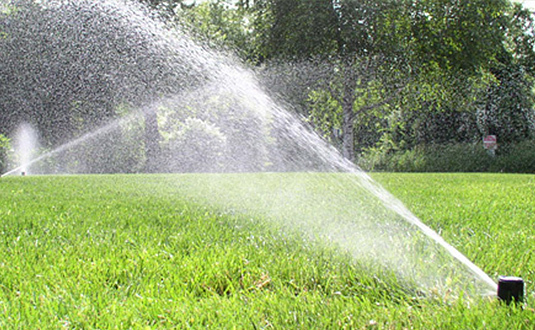 Used mostly for watering lawn areas or for agricultural purposes. The CWWTS - Containerized Wastewater Treatment System is a state of the art mobile wastewater treatment container system that utilizes biological aeration, clarification and various filtration processes to treat high-strength wastewater such as sewage, septic tank effluent, dairy wastes, livestock animal waste and industrial wastewater for reuse in irrigation. Containers allow for a maximum flow rate of 30m3/day, and are manufactured in two sizes. CWWTS 20 ft (6 meter) Container: is an activated sludge process, whereby the effluents are treated on a secondary treatment level. 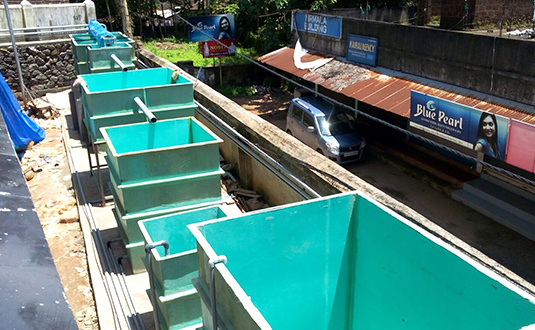 The biological treatment process consists of activated sludge including an aerated reactor and secondary clarifiers. The treated wastewater (effluent) discharged from the container has a concentration of up to 30 mg/I TSS, and up to 20 mg/I BOD. 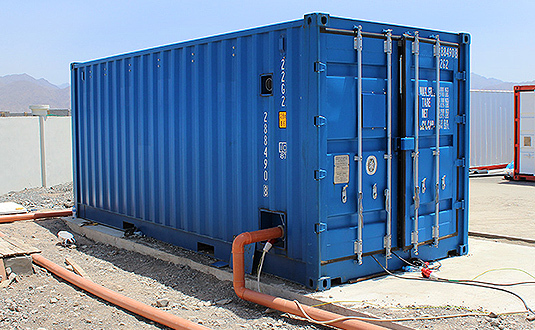 CWWTS 40 ft (12 meter) Container: is an activated sludge process, with nitrogen removal. 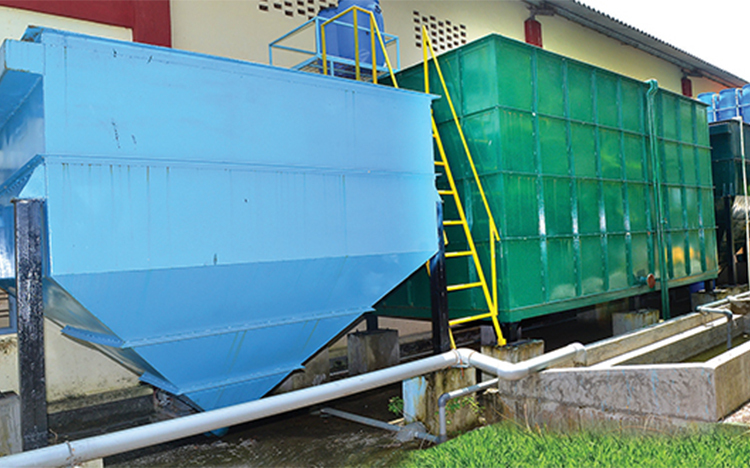 The biological treatment process consists of activated sludge including nitrogen removal - anoxic tank, aerated reactor and secondary clarifiers. 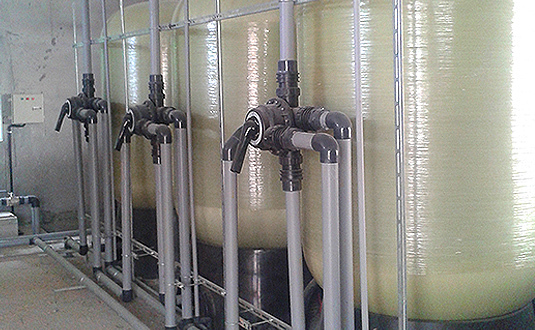 Secondary effluent treatment utilizes sand filtration and chlorination. Effluents are treated on a tertiary treatment level prior to use in agriculture, landscape irrigation and other applications. The treated wastewater (effluent) discharged from the container has a concentration of up to 10 mg/I TSS, and up to 10 mg/I BOD. 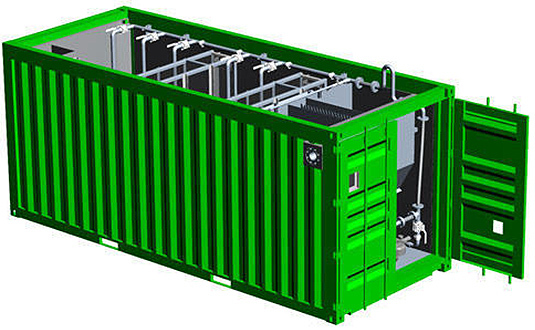 CWWTS Containerized Wastewater Treatment System includes the container, tanks, valves, pumps, pipes, sand filter, compressor, blowers, instruments, dosing unit, controls and electrical board, plus fabrication, Installation, assembly and wiring. Outdoor equalization tank and sludge collection tank are optional. Preparation of reports, documents, Site Plan showing nearby residences/structures, water bodies, roads etc., within 100m radius of the establishment & Layout of buildings with location of effluent treatment plant and outlet/s & Schematic Flow Diagram of Sewage treatment plant after conducting the detailed site inspection. All necessary liasoning works for getting the approval of Consent to Establish & Consent to Operate. Assistance for procuring necessary clearances from KSPCB without any delay. Designing, Detailed Engineering and Drawing Preparation of Sewage Treatment Plant, Water Treatment Plant, Effluent Treatment Plant and Swimming Pool Consultation on various stages of system implementation up to the system commissioning. Preparation of Tender documents including study report on the entire system- for the construction & commissioning of Sewage Treatment Plant, water treatment plant, Effluent treatment plant and Swimming Pool. Project Supervision, Trial running and Commissioning, Training of operators during Commissioning.